This series of rare application music compositions are representative of the vast scope explored by Parmegiani. Far from the strict format of concert music, its codes and usages, this music designed to fit with the screen is a work of amazing freshness and spontaneity. It is pervaded with a singular balance, between minimalist music and a more articulated language. There is a space for melody, for word repetitions. Actually, repetition is a constant feature, blurring the line between his concert work and the rest. More than a border line, it seems to define two worlds, which communicate through it. With an impressive number of application works, and some time spent at the head of the Sound / Image sector in the research service led by Pierre Schaeffer, the composer has managed to build up a framework designed for research and mutual exchange. 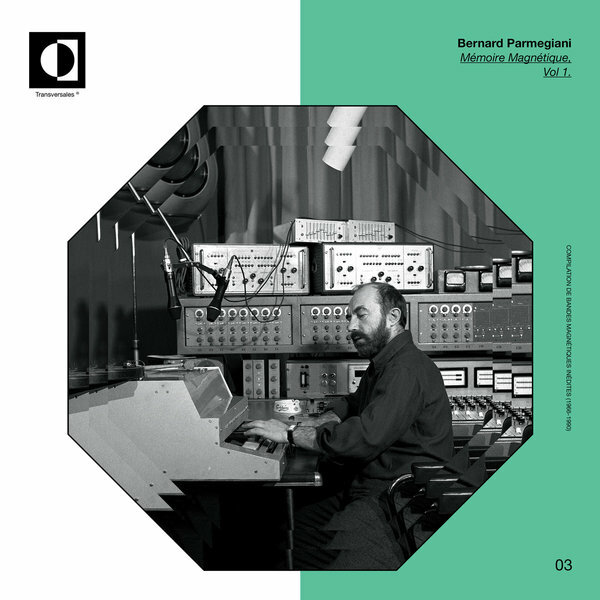 Bernard Parmegiani presents us with lights, gestures, lines, various registers. Besides, how could one perceive these pieces of music without the pictures they are supposed to enhance? Each title is suggestive, and the best answer is in the field of imagination. In the middle of the B-side, there is a true gem dated 1977. In this second extract of “Versailles… peut-être“ Bernard Parmegiani gives us a glimpse of the future. One can feel the pulse of the 80’s and of the first accents of Techno Music. It feels like driving a drop head car at 134 BPM, faster than on Kraftwerk’s “Autobahn”. One can also sense that soon the LFO will be replaced by the drum-machine. Listening to these pieces of music arouses the same sensation as reading the prose of an author already known for his poetry. If one has never read his poems, here is the record that will open the door on a new world to be discovered / Maxime Barthélemy.